The best eggs we've had were from a backyard chicken coop. The taste was heavenly: fried, scrambled, hard-boiled, or whipped into an egg salad you could eat straight from the bowl. 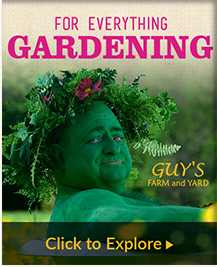 Guy’s Farm and Yard has the chicks, feed, and supplements you need to produce your own heavenly eggs and meat that will leave people forever hooked and hungry for more! Visit our Farm Pages for more information and available selections of fencing, bedding, hay, straw and all your other farming necessities. 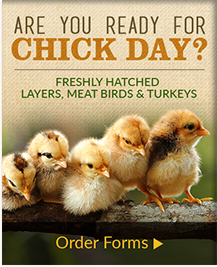 Learn about raising a flock of spectacular spring chicks! Sizes appropriate for young chicks to mature adults!